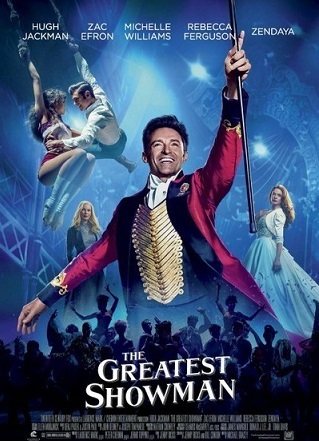 As I woke-up this morning, I decided that I wanted to catch an early viewing of The Greatest Showman, the latest Hugh Jackman-headliner directed by Michael Gracey. I was first introduced to this film a couple of years ago when I was at a brand marketing job for luxury hotels. Me and my team were approached by someone who was heading up sponsorship and fundraising efforts for the film, and I was given a synopsis of the story to help me wrap my head around any potential sponsorship or partnership opportunities. At the end of the day, we couldn’t necessarily provide much for the needs of the production team. And in all honesty, it just wasn’t a fit for the overall brand strategy of our hotels. No harm, no foul done. We did our due diligence, listened to the pitch, and gracefully bowed out of the discussions early on. Fast forward to a couple of months ago, I happened to catch a trailer of the film while doing some work online, and I was instantly captivated by many things: rousing musical numbers, top-billed stars (a la Jackman and Michelle Williams among others), colorful costumes, an interesting cast of characters, and glimpses of eye-catching dance sequences that even this non-classically trained performer found fascinating. Oops. Yes, you did read that right. I just referred to myself as a “non-classically trained performer.” I’ve been so far removed from the “stage” that sometimes I almost forget that singing and dancing was once a very important part of my life. Then a story like The Greatest… comes along, and I’m reminded very quickly that this passion for performance art, or at least the appreciation of it, is something that can never go away. Not from me. You see, my parents had me and my sister start with piano lessons at a very young age. How my youngest brother escaped that is a mystery to me, but my sister and I played the piano –until we just stopped. For me, the clarinet came next, and was a short-lived endeavor. What resonated most for me was singing in the choir at school. But even with that, I would essentially allow myself to blend with the crowd, and never really gave any hints that I had any larger potential than that. My “solo” performances were always done at home, when my parents were out shopping, and when my brother and sister were out of view. I would put on a cassette (dating myself) of Whitney Houston’s Greatest Love of All and sing along with the track over and over again, until I could master every intonation and riff she made. And it wasn’t just Whitney. I would sing along with Luther (Vandross), Peabo (Bryson), and then Mariah (Carey) –when she came on the scene. I was, and still am, enamored by the sheer vocal acrobatics that these and many other performers out there had mastered. As the years went by, and I continued to sing to myself in my bedroom, I spent a good amount of my summers and weekends performing with a local Philippine cultural dance company. It was through this that I was introduced to the basics of classical dance. From the 5 basic positions, to Lifar’s additional 2 positions, to turns and spins and leaps and hops… all of these elements came to play in traditional Philippine dance. And alongside the folk dancing, my friends and I would also put our energy to pop and hip-hop dance. From small community parties to local auditoriums to the Kennedy Center to out-of-state invitations, the stage became a part of my life. Stage blocking, lighting, “stage left,” and “stage right.” Stage make-up, costume changes, smiling on stage and then quickly dropping smiles as soon as I got off. All of these things were such a norm for me growing up that I foresaw a possible future for myself on the stage or in front of the camera. It wasn’t until I was in college that I started to sing & perform more openly. I would eventually sing versions of the Philippine and U.S. national anthems (both solo and with groups) for different university and community functions. I also started to sing, dance, act and even produce for cultural showcases and other types of forums. Then after graduation, my younger brother and I would also serve as main vocalists for a community praise and worship band. Now and then I’d be asked to perform at weddings (though I’d never refer to myself as a “wedding singer”), parties and other events. The film is a period musical drama focusing on the rise of the Barnum & Bailey Circus. P.T. Barnum, so effectively played by Jackman, serves as the titular character. Williams plays his doting wife, Charity. Zac Efron comes mid-way through the film as Barnum’s eventual partner, Phillip Carlyle. And then a slew of actors play the various oddities that make up Barnum’s “circus,” anchored by Anne Wheeler –a trapeze artist and a woman of color – so effortlessly played by Zendaya. While the story takes artistic liberty around the truth behind Barnum’s historical circus, it is a story that first and foremost intends to entertain. And entertain it does. The story line itself is probably best classified as one that supports the underdog, or underdogs in this case. Each circus character, though hardly developed individually in the film, comes together to serve as a singular unit: the outcasts of society –whether by race, face, facial hair, body hair, too tall, too short, too fat, too skinny… The non-artsy viewer might focus more on Barnum’s exploitation of these poor characters, but for me – my focus was on how this gang of oddballs more or less banded together, became a family, and did what they do best: PERFORM. It’s the same story for casts of shows from the classic stage to the small and large screen studios. I wasn’t surprised by Jackman’s performance at all, as his experience on the stage shines through his various on-screen musical projects. He brought the passion of P. T. Barnum to life, as well as captured the struggle he had between rising above his original place in society and throwing it back in the faces of all those who did not believe in him. Williams played the supportive wife well, and we like her most because of her willingness to leave a life of privilege for one of day-to-day surprises. Zac Efron, who tends to be a thorn in my side when it comes to the projects he’s been involved with, actually shines in a genre that I think he was made for. His High School Musical roots shine through here, as his dance and vocal skills are a perfect marriage for this film. But for me, the standout is Zendaya – another Disney Channel alum who proves that she not only can act, but can sing and dance. If you are familiar with her work on Disney, then she comes as no surprise. In the footsteps of triple-threats like Demi Lovato, Miley Cyrus and Nick Jonas, Zendaya shows that she can own her scenes. Each time I come across a show like this, I am reminded of the beauty there is in following your passion. Whether that is a passion for performance art, writing, sports, or even corporate life – a passion is a passion nonetheless. The film reminds us to be fueled by our passions, and to be fearless. The Greatest Showman reminds us that we can’t give in to our fears in order to be successful, and that persistence will get you where you want to be. The path may not always be laid out before us, and we may have to hit some bumps along the way. One thing is clear, though. There’s no time to be scared to be seen, nor time to make any apologies to march to the beat of our own drum. The Greatest Showman. In theaters now.